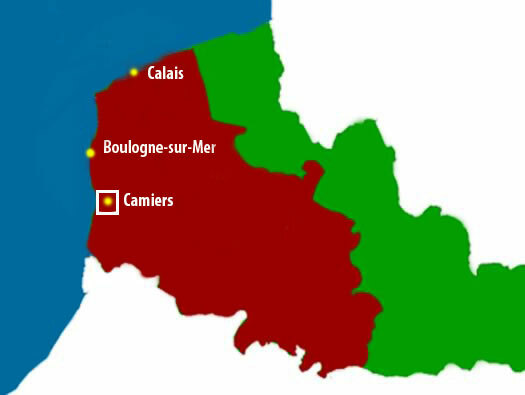 1./A.R.149, Camiers, Pas-De-Calais. K.V.A. D1 Hardelot to Merlimont. 4 pieces of 10.5 cm K325 (f). 10.5 cm K325 (f) horse drawn artillery abandond in a retreat. German map of the area. The plan is not very easy to read. The red line is the railway. 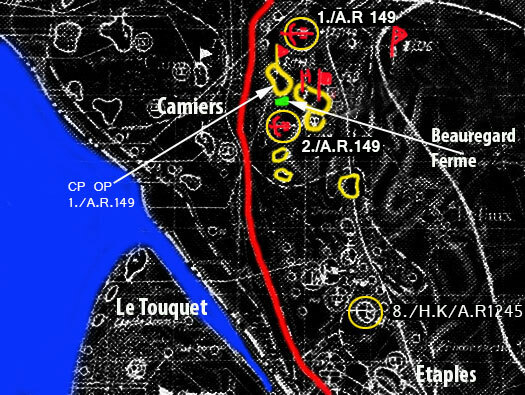 The next set of of bunkers are possibly in the area of the 1./AR.149. Two Abri (shelters), one may be a kitchen and the other quarters for the cooks. 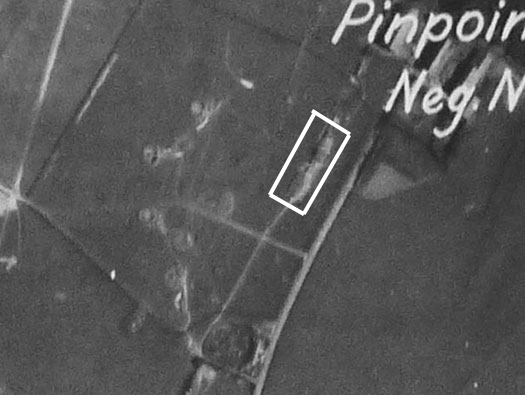 An allied aerial photo the battery position. 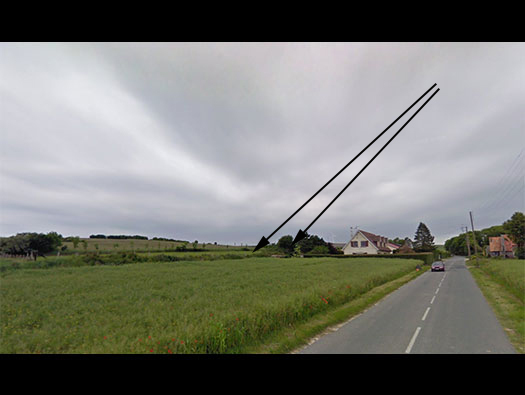 An aerial photo of what I think is the position of 1./A.R.149. 1st battery 149th Artillery Regiment. You can see the four gun positions laid out and the straight lines are command cables buried in the ground. The white oblong in the air photo is where these Abri are located. Some say it may have been a kitchen? There is a large chimney vent in the roof. Inside the first room with a large vent in the roof. This one is more of a shelter as it has a much stronger roof and covered in earth. There may be more here?